WHU is recognized by WHO and the graduates of MBBS program are eligible to take the Medical Licensing Examinations held by the medical councils in different countries such as MCI, PMDC, USMLE, HPCSA, SCHS etc. The internship is arranged in the 6th year with duration of 1 year (at least 48 weeks). Students can choose to do the internship/training in China, their home country or any other country. During the internship period, the tuition fee is still RMB 32,000 per year. For students who would like to do the internship in China, they should pass the new HSK 4 to contact with the patients. WHU would arrange the internship at one of its 2 affiliated hospitals - Renmin Hospital of Wuhan University and Zhongnan Hospital of Wuhan University. The hospitals have 2800 beds, 15 million out-patients per year, 50,000 in-patients per year, 25,000 major operations and a full list of disciplines covering 100 clinical and auxiliary departments and 30 laboratories. For those who do their internships in other countries, WHU need to do a qualification evaluation on the chosen hospital. 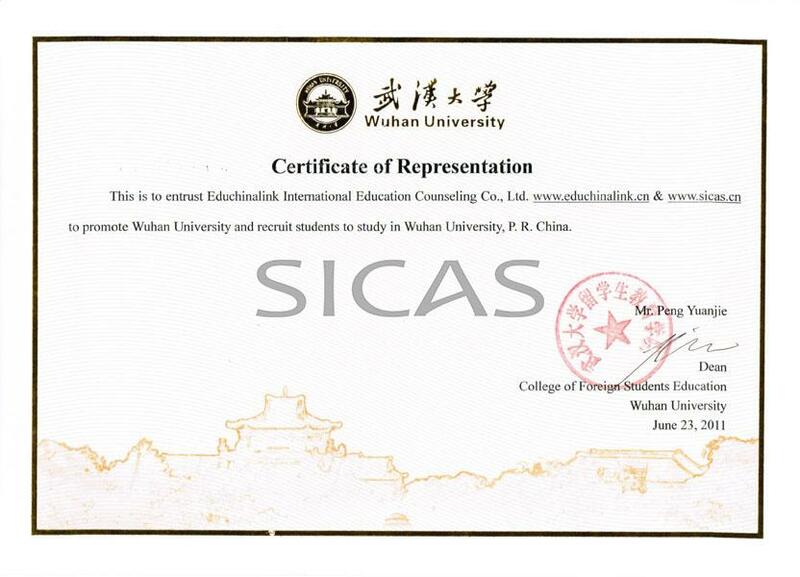 After the internship, if they have finished the graduation thesis and thesis defense in the first five years, they can get their diploma and if they can’t return to China, the school can provide mail service. And, students have to take the final examination on Theory Test and Clinical Evaluation in WHU before graduation. According to the regulations in different countries, the students may need to do the degree accreditation first. A MBBS degree holder can find jobs in government as well as private hospitals, nursing homes and other health facilities. Except this, one can also start his own clinic or pursue study for master's degree. 2. At least 60% score in science subjects: Mathematics, English, Biology, Physics and Chemistry.